April is National Poetry Month in the USA. Each day during April Random House/Knopf sends a poem by email to those who would like to receive them. Go here to sign up. It's free. Read, write or listen to some poetry today! The prose poem below resulted from an exercise posted by a blogger on one of my email lists. The "jumping-off" place was a poem by George Ella Lyon. Read her poem here and other bloggers' entries here. My effort is below. From wooden outhouses, and kerosene lanterns. 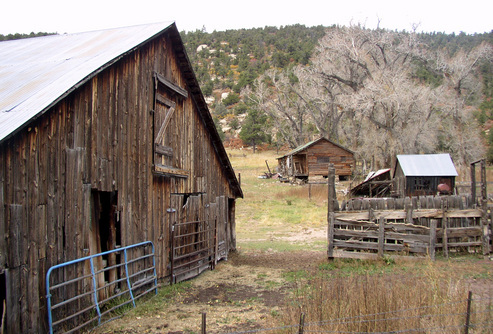 From branding irons and cattle drives. From two pair of shoes a year, one for school and one for church. Over the same metal tub used for baths on Saturday night. From fresh vegetables in the garden beside the windmill. Why can’t you leave well-enough alone? From 4-H, county fairs, carnivals and rodeos. To win yo-yo pencils at school. But just in time to be a grandpa to my children. Dragging mainstreet and drive-in movies. As opportunities rather than threats. Is the key to being interesting. I’m from love people and use things. Gratitude for where I’m from. 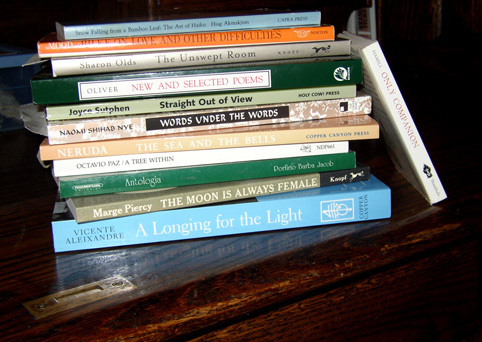 It is National Poetry Month and Borzoi Reader emails a poem for each day during April. Click the Borzoi link to sign up to receive a poem each day for the rest of the month. I started to copy today's poem here--with attribution and disclaimers, of course--but the clause "no use of any part of this excerpt without written permission of the author or publisher" stopped me. I have great respect for the intellectual property rights of all who create literary and visual arts, so I hope you will let me share this poem with you by clicking on this link. Meanwhile, it's a lovely day and My camera and I will be off to Bluff Lake Nature Center for a long walk and some communication with the natural world. I love poetry. I read one or more poems at bedtime nearly every night. I am drawn to the rhythm, the imagery and the precise use of language. 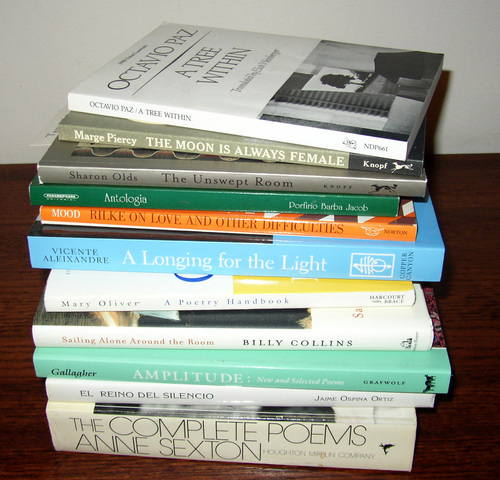 Though National Poetry Month highlights poets from the USA, I enjoy reading the English translations of many international poets. Like international dance and music, poetry reveals the subtle world view of an individual within a given culture. Links to activities celebrating National Poetry Month can be found here. During April the Borzai Reader will send a poem every day to your email address. Sign up at this link.